Red’s Dentist, Root Canal Rodney, swears by his self-styled Dentist Index as a leading indicator of economic activity and job growth. As RCR explained to Red the other day while inflicting pain, he is absolutely swamped right now and that means bad times are here to stay for a while. This is because everyone that is getting laid off in the oil and gas industry is in a rush to get work done before their dental insurance benefits go away. The second round will be when other businesses start to contract as a result of the O&G downturn. This entry was posted in Texas News and tagged Oil and Gas, Oil Bust, Texas Economy, The Dentist Index on April 8, 2016 by Red from Texas. 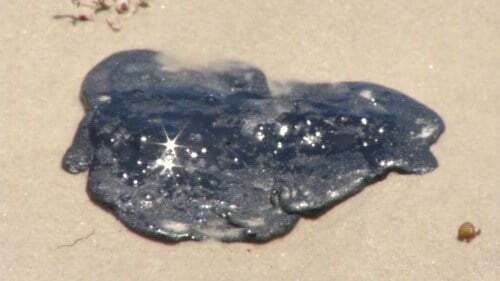 ABC News reports that mysterious tar balls have been washing up on Texas beaches. Just how often do these folks go to the beach? In Red’s experience tar balls at the Texas coast are not that unusual. “It is unlikely the source is from Texas waters, but possible sources include offshore rigs, a pipeline, a ship, or from natural seepage,” Suydam told ABC News in a statement. Tar balls are dense accumulations of hydrocarbons that have been mixed and rolled with sand and shells before washing ashore. The source could be natural leaks along the continental shelf, which runs 40 to 100 miles off the Texas shoreline, or the result of frequent spills that occur when crude oil is transported from one tanker to another in the Gulf of Mexico before being brought into port. If the investigation proves the oil came from man-made sources, it will come as no surprise to Luke Metzer, director of Environment Texas, an environmental advocacy group based out of Austin. “Oil spills are a way of life here in Texas,” Metzer said, noting that 543 spills occurred in 2012, according to the Texas General Land Office. “It all adds up to have a big toll on the marine life in the Gulf,” he said. Metzer argued that Texas should establish “no-take” Marine Protected Areas, which prohibit fishing, oil drilling, and other extractive uses. This entry was posted in Texas News and tagged Oil and Gas, Texas Coast, Texas Environment on June 11, 2015 by Red from Texas. From the Annals of Big Oil – In 1923, the Santa Rita No. 1 oil well came in. The gusher came in the early morning at the solitary rig located in Reagan County. 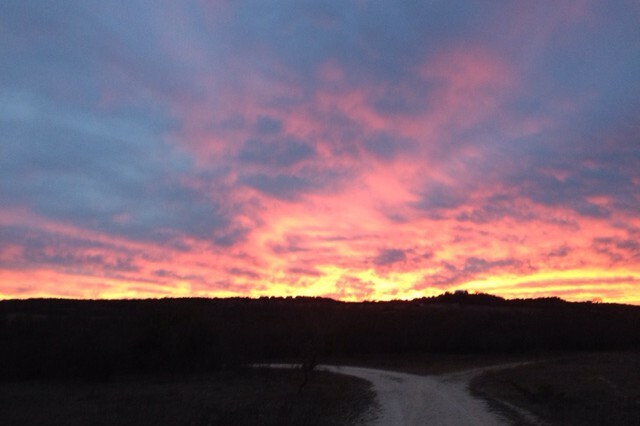 The University of Texas had leased 670 sections of its west Texas land to Rupert P. Ricker. Ricker in turn hoped to make enough selling drilling permits from various wildcatters to make the rental payments to UT. Frank T. Pickrell and Haymon Krupp bought the drilling permits and formed Texon Oil and Land Company. They then hired geologist Hugh Tucker to select a site for drilling among the almost 200,000 acres. Carl G. Cromwell drilled the well which was spudded in only minutes before the drilling permit would have expired. The incredible gusher and the ensuing development of UT’s vast land holdings transformed the school from a small land grant college in a small city to a major institution of higher education. The University of Texas system has the second highest endowment of any US university ranking only behind Harvard. This entry was posted in Texas History, Today in Texas History and tagged Oil and Gas, Santa Rita No. 1, Texas History, UT, UT-Austin on May 28, 2015 by Red from Texas. The Texas Tea Party likes to shout local control and government overreach from the rooftops when it fears the federal government stepping on Texans’ toes. But when it comes to serving the interests of big oil, the Tea Partisans cannot fall over themselves fast enough to do its bidding. This time it comes in the form of a bill passed by the Senate and House which will prevent Texas municipalities from banning fracking within their city limits. But the bill, which emerged as a response to a hydraulic fracking ban passed by Denton voters in November, goes well beyond just fracking and leaves municipalities powerless to regulate any oil and gas practices that do not involve surface operations. Now Red appreciates the need for uniform rules on drilling practices, but the hypocrisy of the Tea Partisans is just plain shocking. They insist that the federal government cannot dictate to Texas – but then have Texas turn around and dictate to local government. This entry was posted in Texas News and tagged Fracking, Oil and Gas, Tea Party, Texas News on May 5, 2015 by Red from Texas.